Located on W. Oakland Park Blvd between M.L.K Jr Ave and NW 30th Ave.
Store Leader of this location is Brian McCoy. Hi my name is LindaI found out about Jared at carite through a friendI looked on Instagram and found him with many cars I was interested in,I called and set up an apt,we met and he showed me around,I made plans to go back the next day or so,I went back that Friday afternoon at 4pm,Jared stayed with me kept me up dated on what the banks needed and how to download everything I get the ball rolling,well by 9:30pm I was driving off the lot with my new car,which I If you have any issues getting a car,Jared is your man,he will get you your car no matter what,so go check him out you won't regret it,find him on his Instagram page any credit_allcars305 or call the office and ask for Jared. The best salesmen I have ever met! @anycredit_allcars came in with not so great credit and he made sure I left with a good car and worked around my expectations!!! I will definitely recommend Jared to everyone looking for a car, he is worth the time I'm very thankful!!!! Jared is always so willing to help, keeps it honest with you and does his BEST to make sure you leave with a vehicle whether from him or not ! I will continue to refer people to him! His IG (@anycredit_allcars305) is always so informative and he is as well! Much love Jared your awesome ! What a good experience I had!! Definitely worth taking a trip out to see Jared, he was very friendly and easy going and helped me to the very end find what's best for me. Follow @anycredit_allcars305 on insta. Thanks again Jared for putting me in an amazing vehicle ! Amazing Service and was so helpful. I Love my Car @anycredit_allcars305 Jared is the best. I purchased my car from them on March 01. I worked with Jared. I've been following him for maybe a year or two on Instagram. His IG name is anycredit_allcars305, by the way. But I've been telling him I was going to come check him out for a few months. So I finally went to see what the hype was about. I had a great experience. You know how at most dealerships you are there for 6 or more hours. I was there for 3 hours or less. Jared works with you and explains to you everything he's doing every step of the way. He's not one of those car salesman just looking to make a buck. He really cares and he'll make sure you are satisfied before you leave. The whole staff at CaRite of Oakland Park was amazing. Thank you Jared!!!!!!! Even though the car buying process was a headache after months of trying different places, I finally found the right place! my salesman JARED stood by his word and got me a car, not only that let me use his personal car until mine was ready! I don’t think I will ever meet another salesman like him! JARED I truly thank you for helping me, you’re the most coolest, funniest, professional sales man EVER! If you looking for a car, trust me CARite is the place! ASK FOR JAREDDDD! might be better if you contact him on IG, This is where I found him! Responds fast! And answers any question needed! His Instagram is @anycredit_allcars305 !!!! Not call a could been customer back. 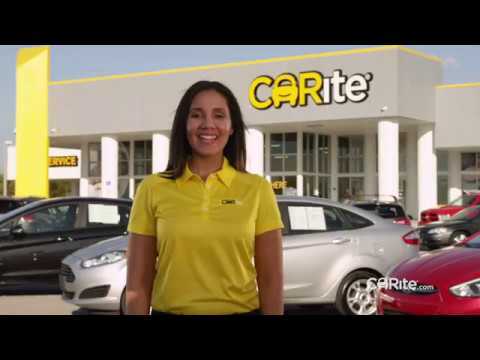 My Service @ CARite was great. Earl & Jared were very Professional & Patient with me as I was being very indecisive about choosing a car. Very informative about everything! I would never go to another car dealer again. Thanks CARite Of Oakland Park! !